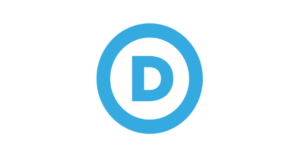 Today the Democratic National Committee announced the Florida Democratic Party as a recipient of a grant from the State Party Innovation Fund (SPIF), a first-of-its-kind, competitive grant program that incentivizes early organizing through state parties and supports efforts to engage local communities. The Florida Democratic Party will receive $100,000, which will be used to expand engagement efforts with Puerto Rican voters across the state in 2018 and beyond. In addition to SPIF, through the DNC’s Every ZIP Code Counts program, state parties have consistently been receiving $10,000 a month since October 2017, which is a 33% increase over the base funding levels from 2016 and a 100% increase over 2015, and is based on state-specific strategic plans. No matter which version of the bill Senate Republicans, including Senator Rubio, are scheming to pass, the end product will strip health care from millions of Floridians. Instead of answering to the people who elected him, Senator Rubio is expected to vote on repeal bill that would cause millions of Americans to lose their health insurance and cause premiums to skyrocket. “Senator Rubio’s and his Republican colleagues’ commitment to repeal the Affordable Care Act is dangerous. It would throw millions of Americans off their health care coverage and fracture local economies. In Florida alone, as many as 181,000 people could lose their jobs and 2,230,000 Floridians could lose healthcare coverage by repealing the Affordable Care Act. Any kind of repeal will be devastating to Florida’s families,” said DNC spokesperson Francisco Pelayo.